It's deceptively simple. A blend of fine Latin American beans roasted to a glistening, dark chestnut color. Loaded with flavor, balancing tastes of nut and cocoa, just a touch of sweetness from the roast. This coffee is the very first blend Starbucks ever created back in 1971. And this one blend set the course for the way its master blenders and roasters work even today. A true reflection and a delicious cup of coffee, period. It all starts from here. 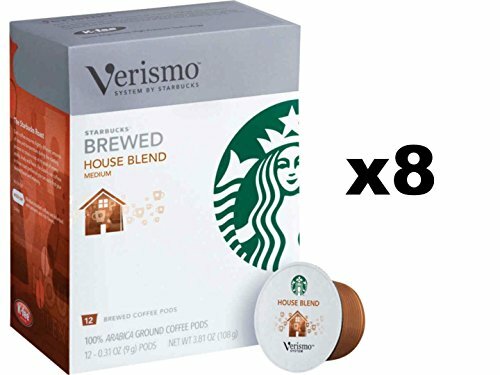 For use exclusively with the Verismo System, these brewed coffee and espresso pods are made from Starbucks coffee perfectly ground and proportioned to deliver the flavors you love.